A fancy and warm atmosphere, a highly skilled and kind staff and and the best quality in cooking according to our tradition: that’s exactly what is waiting for you at Il Melograno Restaurant. In our three rooms Ginestra, Magnolia e Ortensia, we can accommodate up to 500 people. 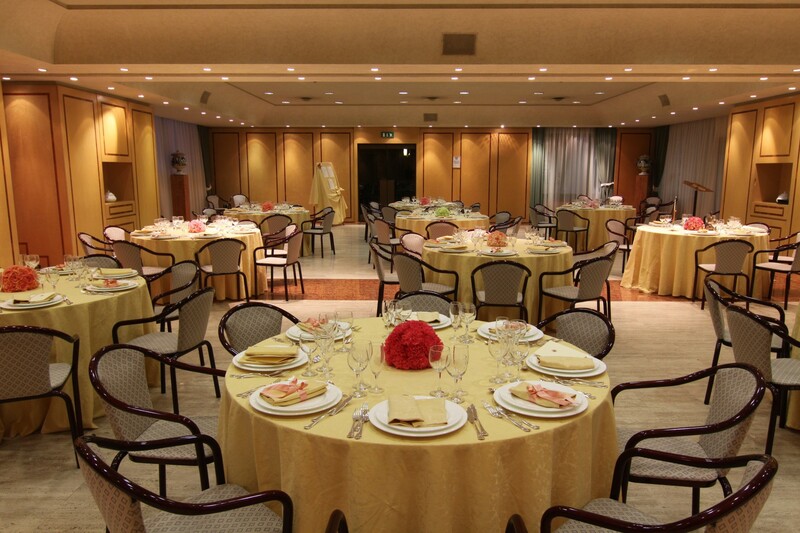 The special location of the Hotel, easy to reach from all parts of Italy, the big parking area and the size of the dining rooms, make it the ideal place for banquets, meetings and conferences, but also for a dinner party or business meetings. In all the rooms you can use our free wi-fi. In the summertime the swimming-pool and the garden around it it’s waiting for you for a drink or the dinner will. Umbrian cooking tradition is made of simple flavours and few natural ingredients that the cook can enrich with her creativity. In our restaurant we follow the same approach: simplicity and creativity mixed together for a tasty mix. We are sure you will enjoy it! We strongly believe everyone should taste good flavours, so we cook for you special veggie and gluten free dishes.